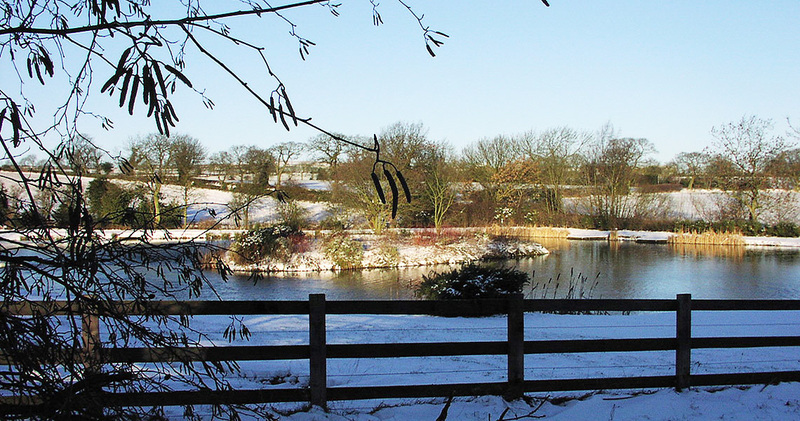 Please check our website for our variable seasonal and daily opening times. 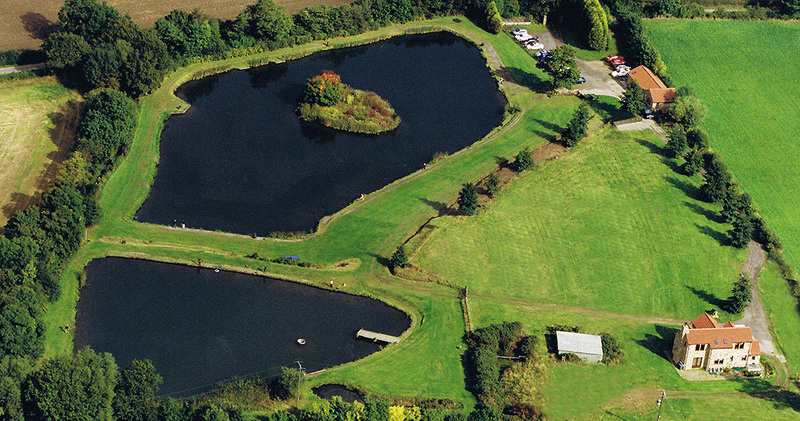 two beautifully maintained, well-stocked lakes. 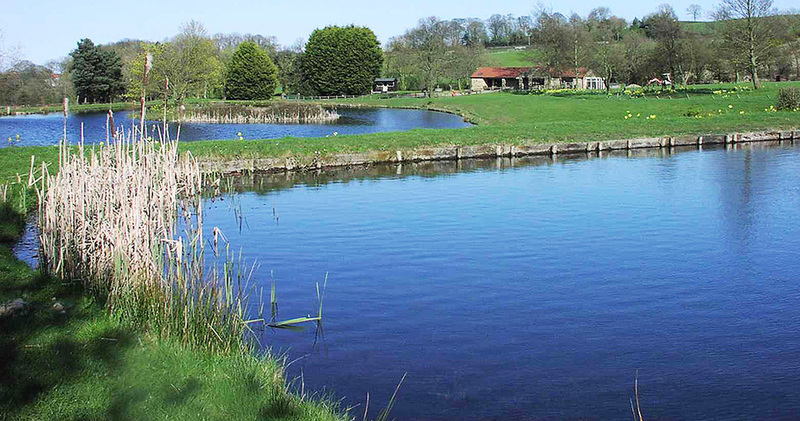 Perfect peace in a magnificent rural environment! Parent & Child and our popular Season Ticket. Just off the A68 & A6072 only 12 miles from A1 (M). 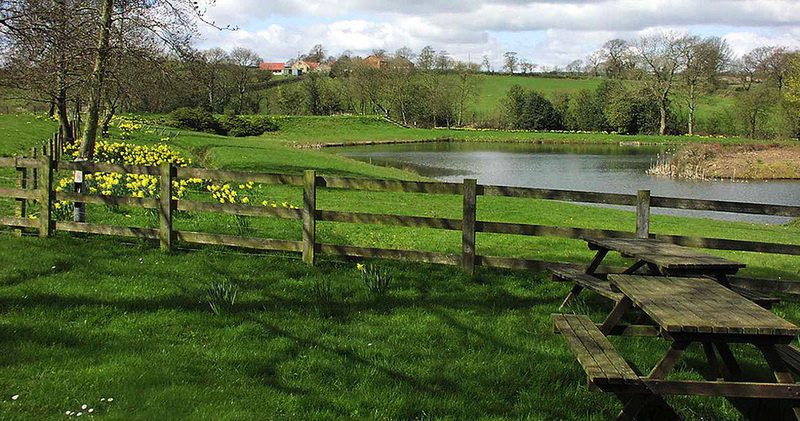 Shildon, Newton Aycliffe, Bishop Auckland 6 miles. Darlington 9 miles, Teesside or Durham 16 miles. 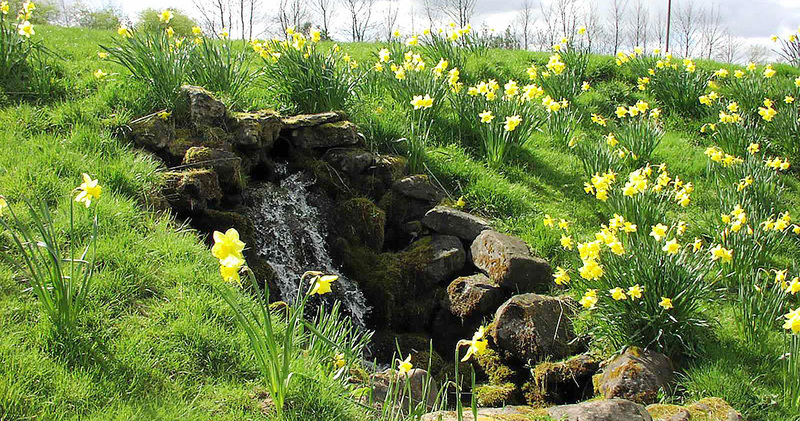 are well-maintained. Very good wheelchair access. Secure parking adjacent to & visible from the lake. events in our peaceful, relaxed atmosphere. Contact us to discuss your full requirements. 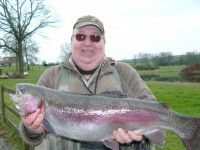 location for fly fishing for quality rainbow trout. personal support of a family-run tackle shop. 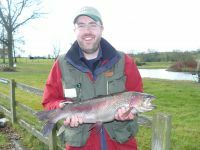 seasons and helping keep the lakes disease-free. Summer opening: Wednesday, Thursday, Friday 9a.m to 5p.m & Saturday 9a.m to 3p.m. Closed Sunday, Monday & Tuesday. Online orders dispatched Monday to Friday. 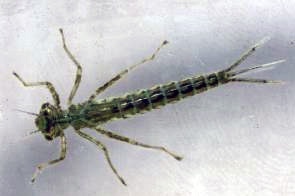 Detail: Also called 'agile darters' because unlike other nymphs, pond, and the very similar lake olive nymphs don't live in the weeds or crawl around slowly but swim actively and dart through the water. Detail: When small Pond Olives and even olive buzzers are hatching this small fly can often save the day when after wary trout. 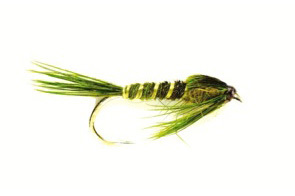 A good general purpose olive nymph pattern suitable for both still and running water. 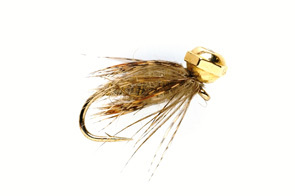 Detail: An olive version of the original Fraser Nymph, a useful fly to have when large olives are hatching or small damsel flies are present. It can be used on any line. 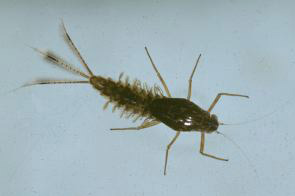 Detail: The Caenis nymph lives in the silt of the bed of the lake but it is the adult Caenis which is generally of more interest to the angler. 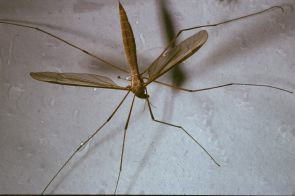 When these are hatching on warm summer afternoons they are very difficult to match and the trout feed frantically on them. 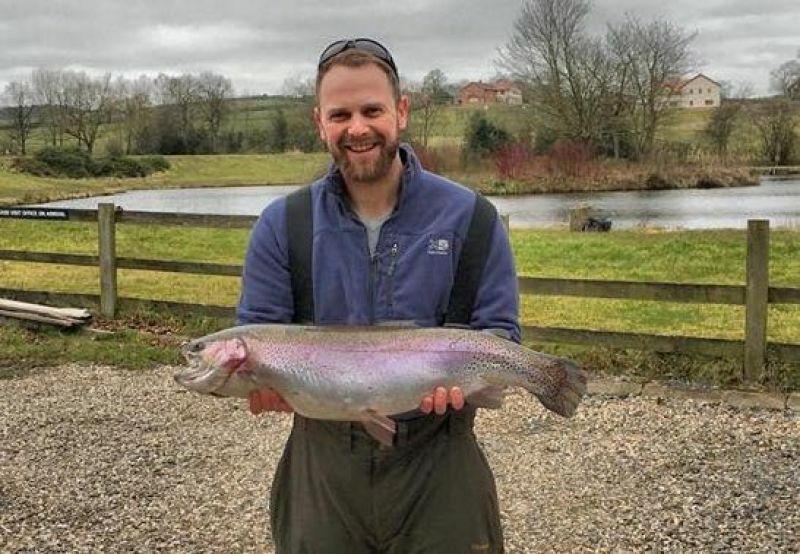 Detail: So often called "the anglers curse" a Caenis hatch can be a very frustrating time as the trout just cruise in the surface sipping down the microscopic naturals. Fish this close copy imitation static in the surface treated with floating. Detail: Nothing like a Caenis but can be very effective stripped across the surface during a Caenis hatch. 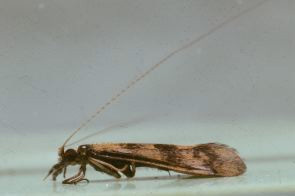 Detail: Spinner - a sexually mature adult. 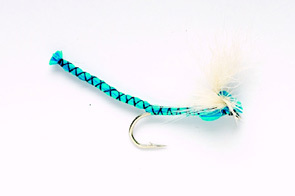 We get various spinners on the water. 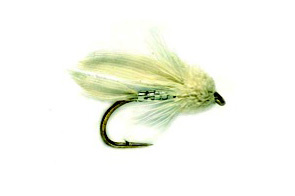 Clear sparkling wings and bright bodies are usually the clue and patterns should be equally sharp to match. Detail: A Spinner is used to describe the female Olives when they return to the water to lay their eggs, this normally happens in the evening with the females being trapped on the surface. 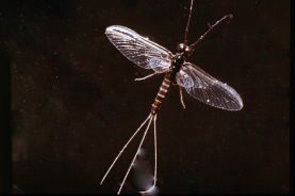 Detail: All sorts of adult terrestrial or aquatic bugs are represented by these flies which float perfectly for delicate fishing. 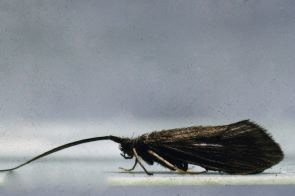 Detail: The Caddis Larva builds itself a case from stones, pieces of reed, or whatever it can find in the lake. 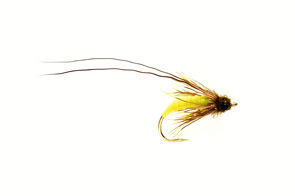 Slow moving they are an easy feast for the trout especially early in the season. Fish weighted patterns deep and slow to match. 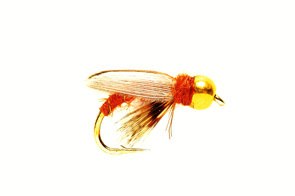 Detail: This darker Peeping Caddis has a short extended body to imitate the caddis grub emerging from its case, the weight over the hook eye ensures the pattern fishes upside down. 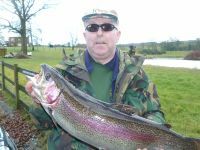 Perfect for targeting fish in both still and running water. 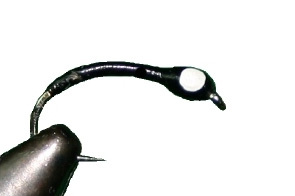 Detail: Featuring a Tungsten Bead to help get your fly right down to feeding fish fast. 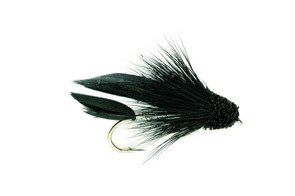 With the tungsten bead mounted on top of the hook this pattern should fish point up, the soft hackle gives extra mobility to induce a take. Use it on both still and running waters. Detail: Fast swimming they 'paddle' themselves along through the water. Usually amber or green in colour. Detail: A sedge pupa with a gold bead to get the fly deep at the early stages of a hatch before the emerging pupa reach the surface. 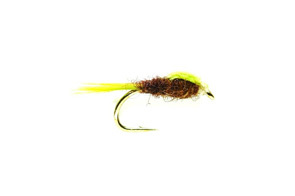 Perfect for targeting fish in both still and running water that are feeding on sedge pupa. 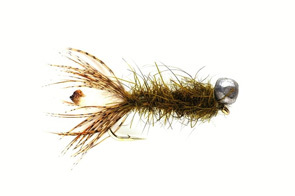 Detail: This pattern imitates the sedge pupa as it struggles to hatch in the surface film, treat it lightly with floatant in the thorax area and retrieve it very slowly or allow it to dead drift. Try to match the naturals body colouration. Detail: Treat with floatant and fish on a floating line. 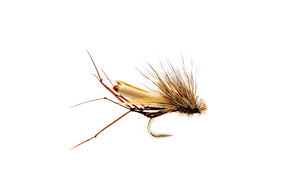 sedge will often be seen skittering across the waters surface so fish to match. 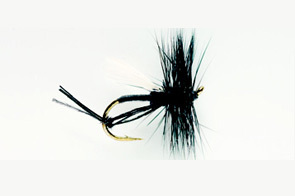 Detail: Traditionally fished on a floating line, deer hair flies create a fish inducing wake behind them and provide fantastic visual sport. Detail: Fish catching here late in the day. 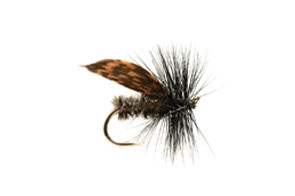 A must have for the Irish Lochs where this large sedge hatches in the evening and can bring on a rise late into the night. 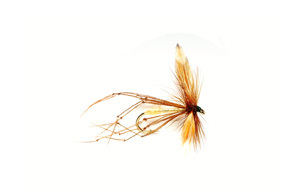 Detail: This sedge pattern often referred to as a G & H Sedge after its creators John Goddard and Cliff Henry, it is an excellent floater because of its dense deer hair body. 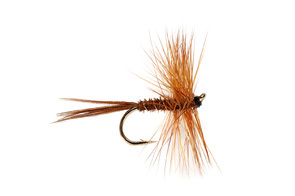 Detail: You can't miss the Daddy Long Legs and neither do the trout. 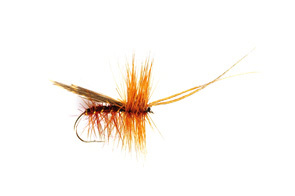 They are poor flyers often blown down on the water to make a tasty snack for the trout who take them off the surface or just as often down below as the poor Daddy Long Legs starts to sink. Detail: Hugely popular terrestrial pattern accounting for countless fish every year, mostly fished dry but equally effective sub surface. 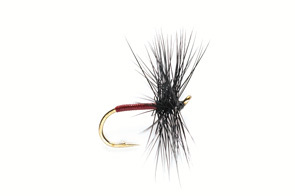 Detail: The bulky deer hair wing and head create a take inducing wake on the surface producing splashy rises when retrieved on a floating line. Detail: The first stage in the life cycle of the 'buzzer'. 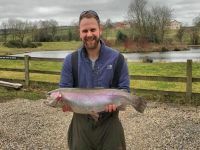 The bloodworm here may be red, green or yellow and are often found in large numbers clumped together on the lakes bed - the reason why perhaps patterns such as the Crazy App's are so effective. 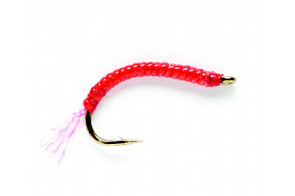 Detail: A mini Bloodworm pattern that would work well fished near the bottom where natural bloodworm occur. 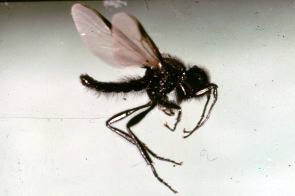 Detail: An unusual looking fly ! 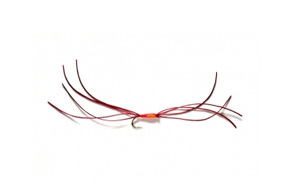 its a highly effective modern pattern that has a huge amount of movement due to its many flexi floss legs that move even with the slowest of retrieve. 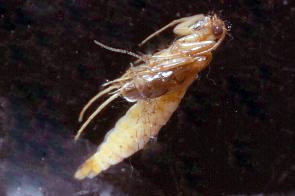 Detail: These midge pupa vary in colour and this is just an example. Buzzers may be taken at any depth as they 'swim' up to hatch. Twitched or slow figure of eight retrieve is generally most effective. 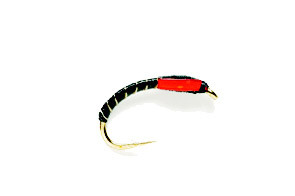 Retrieve as slowly as possible if you fish across the ripple - even trout know that buzzers can't swim! 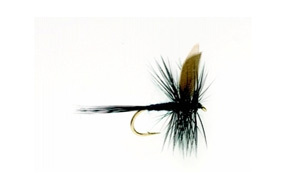 Detail: A very effective streamlined nymph pattern designed to imitate the natural Chironomid. 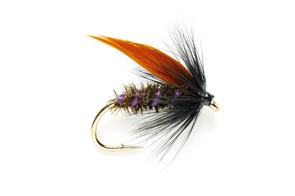 Detail: Originally tied by Alan Corr form Wingate and one of the most effective buzzer pattern on our water though why it should be with that white spot is a good question. 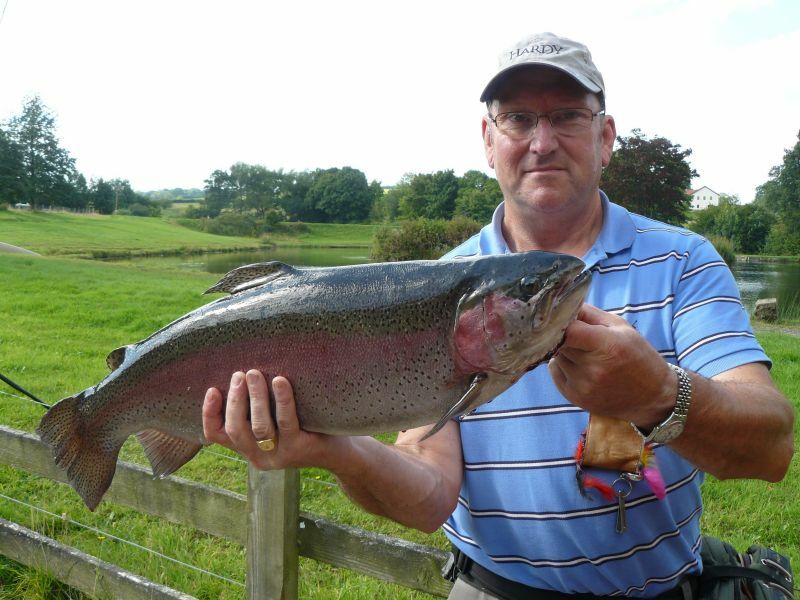 Many of the little pin fry in the lakes have a white spot on them, could that be why? Detail: Detail: These are often abundant and vary in both size and colour. Black is probably the most common here or a pale grey/ green. Size may vary from tiny, size 18 to a whopping size 6. 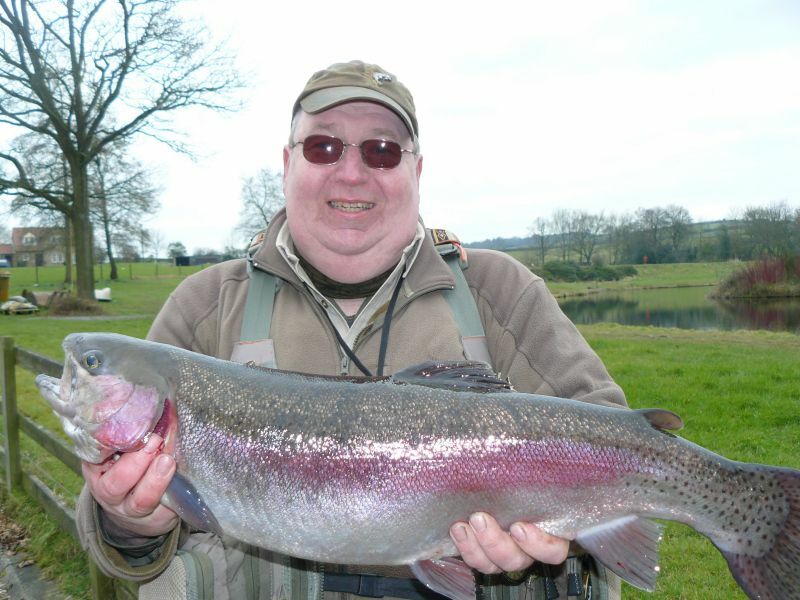 Trout love them! Detail: A delicate upwing pattern presenting a perfect shape to feeding fish. 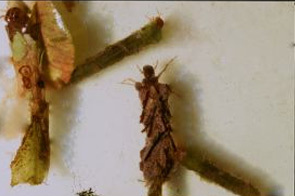 Detail: Alderfly larva are predators who live in the silt on the bottom of the lake and then emerge as adult Alder Fly usually in late April to the end of June. Good to see. Like the Hawthorne fly they are a sign that the winter is over and summer is on the way. 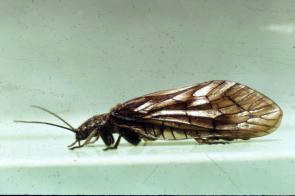 Detail: Adult Alder flies are an important early season food source for trout usually during May-June. Alders are poor flyers and often get blown onto the water where fish take them readily. 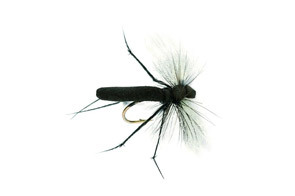 Detail: This traditional winged wet fly can be used on both stillwaters and rivers early in the season when dark brown alder flies are being blown onto the water. 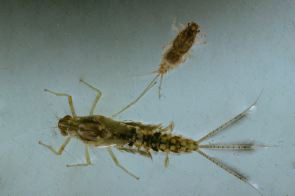 Detail: Slim and around and inch long the Damsel nymph hides in the weed and preys on smaller invertebrates. 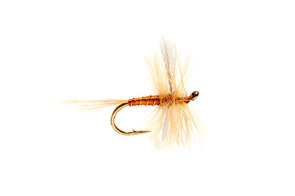 These are a very important part of the trout's diet and no fly box should be without them in a variety of colours through pale olive/ yell to dark olive or brown. 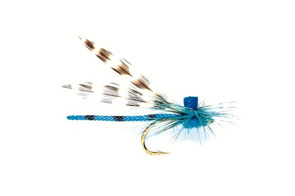 Detail: This fly is designed to imitate the damsel fly nymph. Highly effective in stillwaters in the summer especially when fished around any weedbeds. Fish on either floating or intermediate lines with an erratic retrieve. 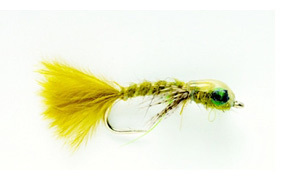 Detail: This smaller sized Damsel pattern with it's gold bead and realistic looking green eyes is very effective here. 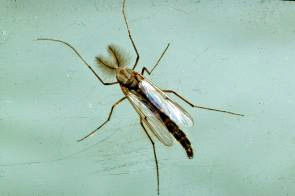 Detail: Our lakes are blessed with an abundance of these insects right throughout the warm weather. 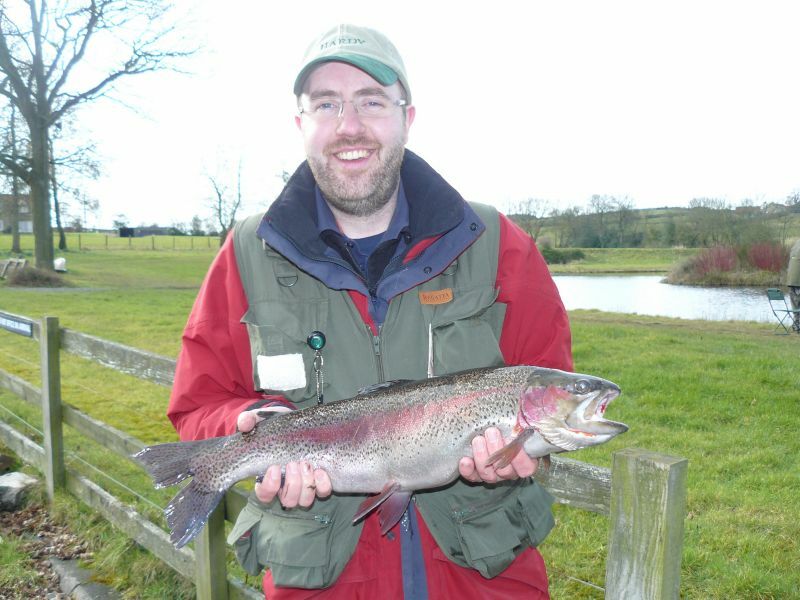 Not convinced that the trout actually take that many but always worth having at least one in the flybox. 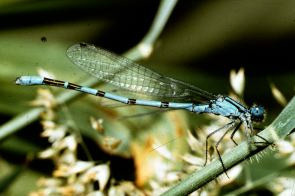 Detail: Adult Damsels are easily identifiable and these patterns are effective whenever the bright blue naturals are hovering over the surface. Detail: This damsel looks very effective with a body made from braid. Detail: Hawthorne flies are easily identified by their large dangly legs. 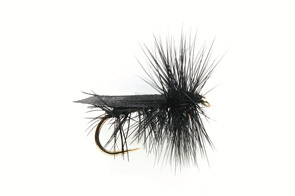 They are poor flyers and get blown onto the waters surface where they become easy pickings for trout. Detail: Very effective when the Hawthorne's are being blown down on to the water usually in May when the Hawthorne hedges are in flower. 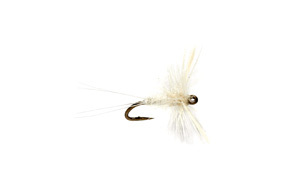 Detail: A pattern which matches the natural but highlights the trigger points making irresistible to trout. 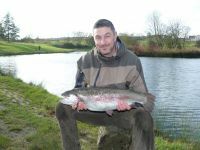 How far is it for Fly Fishing at Jubilee Lakes Trout Fishery? 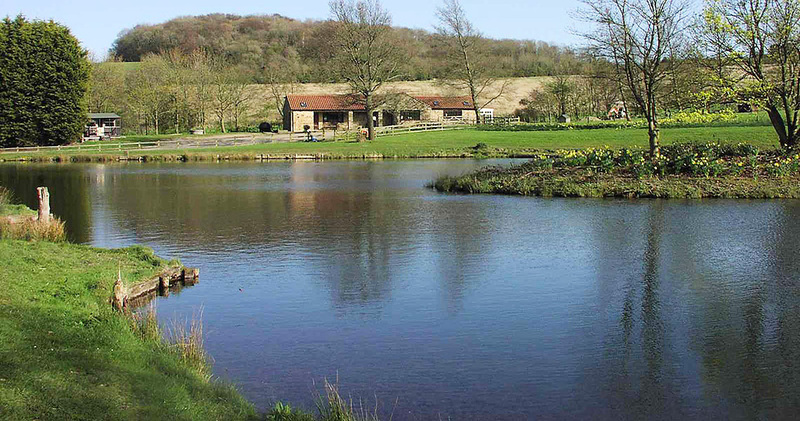 Situated in the south of County Durham between Teesside, North Yorkshire, Cumbria and Northumbria and convenient for the A1 (M) Motorway, A68, A6072. 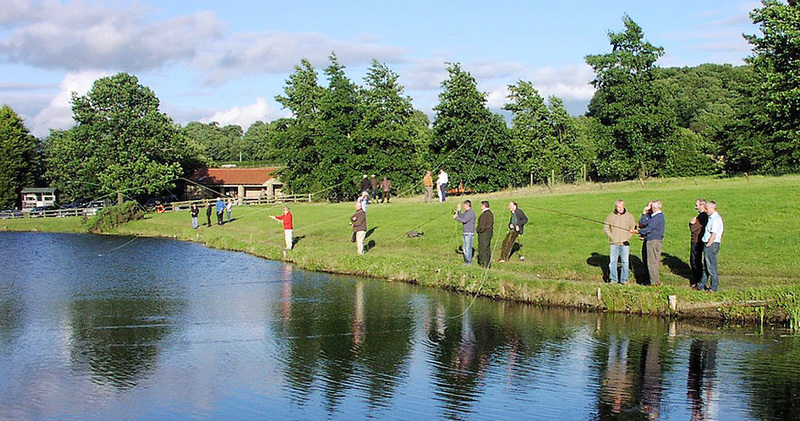 We are in easy reach of the tourist destinations of Teesdale and Weardale as well as the conurbations of Wear Valley and Teesside. Distances. An approximate guide. ( ) = distance to us in miles. Shildon (4), Locomotion National Railway Museum (4), Newton Aycliffe (5), Bishop Auckland (6), Auckland Castle (8), Darlington (7), Spennymoor (10), Raby Castle (12), Staindrop (12), Crook (13), Ferryhill (13), Stockton-on-Tees (15), Teesside (15), Barnard Castle (18), Bowes Museum (19), Middlesbrough (19), Durham Castle (19), Durham Cathedral (19), City of Durham (20), Catterick (21), Hartlepool (23), Chester-le-Street (24), Northallerton (24), Thornaby (24), Billingham (25), Beamish Museum (27), Yarm (26), Sunderland (28), Washington (28), Peterlee (33), Newcastle upon Tyne (33), Gateshead (38), Redcar (38), Ripon (38), Hexham (42), North Shields (45), South Shields (47), Bedlington (47), Whitby (49), Cramilngton (50), Harrogate (50), Blyth (56), Ashington (57), York (59), Penrith (63), Alnwick (67), Scarborough (67), Leeds (67), Kendal (72), Bradford (74), Wakefield (75), Carlisle (81), Bridlington (83), Doncaster (84), Barnsley (87), Market Weighton (87), Lancaster (88), Huddersfield (91), Beverley (95), Workington (99), Maryport (100), Sheffield (104), Whitehaven (104), Hull (112), Dumfries (114), Manchester (114), Dumfries (114), Blackpool (118), Castle Douglas (138), Edinburgh (155), Glasgow (177), Birmingham (177), Aberystwyth (247), London (250), Belfast (250), Dublin (256), Aberdeen (264), Swansea (321). 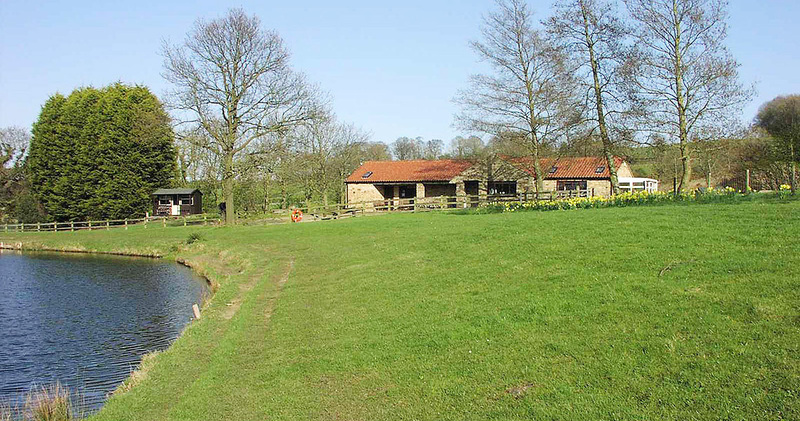 Situated in the south of County Durham between Teesside, North Yorkshire, Cumbria and Northumbria and convenient for the A1 (M) Motorway, A68, A6072.